I am a USAT Triathlon Coach & a physical therapist that specializes in triathletes. My coaching and plans are physical therapy biased and designed to get you to your race happy, healthy and prepared to compete. I started out specializing in beginner female triathletes...but now I have men and women racing all over the nation....from mini sprint distances to full ironman distances! Contact me for a free trial plan & references: Laura@TriStrongCoaching.com or (843)597-0110. 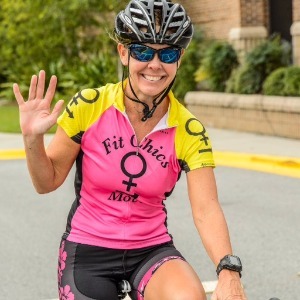 I am a USAT certified Tri Coach, who is passionate about providing guidance, access and encouragement to those beginning and continuing their triathlon journey. My mission is to help others recognize and transcend self-imposed limits. As a triathlete, surfer, martial artist, I also have a Masters in Physical Therapy, and am dedicated to empowering others. By performing a comprehensive functional screen, (even from afar), and setting short term attainable goals, I can safely guide and coach others to accomplish their goals. Coaching Experience: Successfully coached beginners to advanced athletes to finish Sprint, Olympic, Half Ironman, Ironman, Open Water swims, 5Ks, 10Ks, 15Ks, marathons and half marathon distances. ..... and I am an Ironman distance finisher! Success. Coach Laura Fromdahl has been notified of your message.